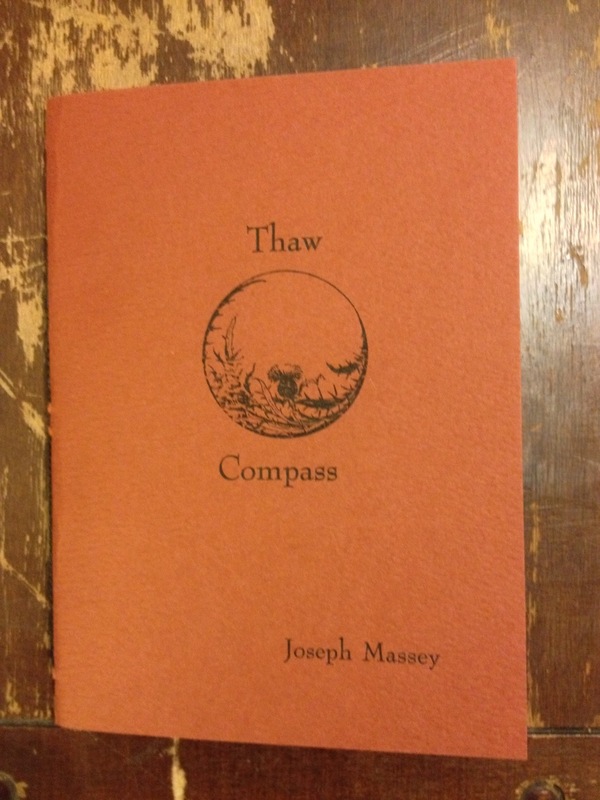 PressBoardPress is proud to announce that Thaw Compass, the new chapbook from Joseph Massey is available here or under the Catalog tab now. The book has a letter pressed cover and is hand sewn and printed in an edition of 100. Domestic orders are $10, international orders are $15.